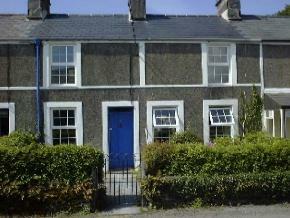 This is a terraced house in a quiet area of the village. The accommodation comprises 3 bedrooms (1double bed and 2 pairs of single beds). A separate bathroom with bath basin & toilet. Downstairs there is a 23ft lounge with door to the garden separate dining room and fully fitted kitchen with fridge microwave and electric cooker. There is full Gas Central Heating. To the rear of the property is a secluded paved area for sun bathing and BBQ's. The property is within easy walking distance of sandy beaches with sheltered coves. Two Bedrooms: Both with two single beds. Blankets & Duvets available. Sitting Room: Dining table, colour Television etc. Kitchen: Electric cooker, fridge, microwave, & deep freeze. Rear Garden: Small patio with garden chairs table & sun beds. Parking space available at the front of the cottage. The cottage is fully equipped with the exception of linen & towels. Electricity is on a card meter.